Once the realm of sailors and bikies, tattoos are now completely the norm with everyone from doctors and lawyers to politicians and bank clerks donning some form of body art. The question is, where do you stand when you have ink in the workplace? 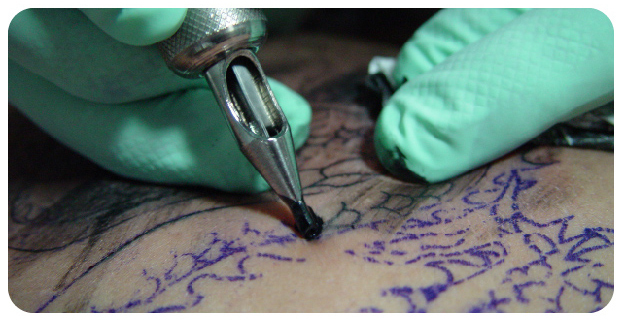 Can a person’s tattoos put them at risk in the workplace? This all depends on what kind of position they hold and what the individual company policy stipulates. For example, if you were a school teacher and obviously working around children, more often than not there would be an expectation for the teacher to use commonsense and to cover up their body art. Society as a whole, it is believed have softened in regards to personal expression, things like tattoos and body art are more socially excepted but people who want this degree of personal expression still need to consider that if they have a tattoos, they still might be required to have them covered up during business hours. They need to have an understanding of the certain social limits and the standards that employers as a whole have. When it comes to picking placement for a tattoo, be mindful of the location that you choose, because depending on your job, or future career aspirations, certain employers can look unfavorably on tattoos, and even in this day in age of equal opportunity employment, employers still make the final decision when hiring people. Tattoos are becoming more and more embedded in peoples’ lives now so it’s really just like a normal thing to be getting. But the boundaries are still going to be there and nothing will overcome it. And most importantly, body artists themselves! This list is far from comprehensive, but each employee should adhere to the policies of the workplace that they are working in. So take these factors and decide before you get yourself in a situation that could affect your current position and future employment prospects. On one last positive side note, creative personal expression can also have a positive effect on vocational chances, people who don’t fit the stereotypical mould can be seen as leaders and people who think for themselves, which in many professions can be an invaluable asset when hiring a future employee, who knows, you may be CEO one day, with a hidden secret! Do you have a tattoo? Has it affected you when applying for a job? This entry was posted in Life Style and tagged body art, ink, job, tattoo, tattoos, work, workplace. Bookmark the permalink.